Boholano Bishop Juan De Dios Pueblos, DD who served as bishop of the Diocese of Butuan for 22 years passed away at 6:55 last night. He died at the Cardinal Santos Memorial Hospital in Manila due to leukemia last night. His remains lie in state at the Loyola Memorial Gardens Funeral Homes in Guadalupe. 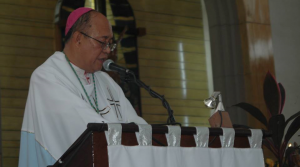 According to Rene Porte, president of the Pueblos clan, tentative arrangements plan to bring the remains of the late bishop to Bohol before his interment at the Butuan Cathedral where he served for 22 years. The final arrangements will be decided later today. Bishop “Didi,” as he was fondly called was supposed to mark his 50th year in the priesthood next year. The church leader has been frequenting the hospital in recent years due to an illness. Pueblos started his ministry when he was ordained in 1968. From then until year 1970, he served as an assistant parish priest in Tagbilaran, Dipolog and Carmen, Bohol. Pueblos became a professor at the Divine Word College (now Holy Name University), this city in 1968-1971. Rev. Pueblos also served as school principal in St. Anthony Academy in Carmen, Bohol in 1970. In 1971-1973, he became the parish priest in Auxilium Christianorum Parish. In 1973-1974, he was the spiritual director at the Immaculate Heart of Mary Seminary (College). He continued to serve as parish priest at the Immaculate Heart of Mary Parish in 1973-1978 and eventually became Rector in Taloto, Tagbilaran City in 1974-1978. Pueblos also became the parish priest in Mt. 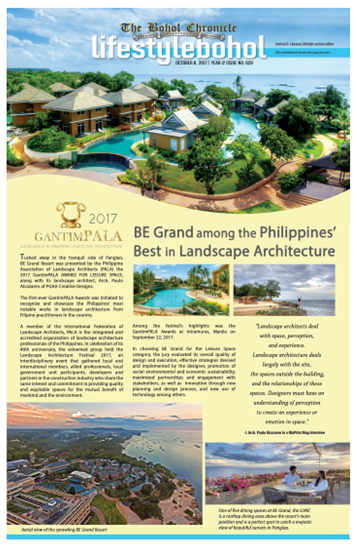 Carmel Parish in Balilihan and served as the school director of Our Lady of Mt. Carmel Academy in the same municipality from 1978-1984. Pueblos widened his ministry in 1984, when he was the school chaplain at Assumption College in Makati, Metro Manila. In 2003-2009, he became the Vice-Chairman of the CBCP Permanent Committee on Public Affairs and was a member of the CBCP Permanent Committee on Public Affairs from 2009-2011. He was also an active member of the CBCP Episcopal Commission on Family Life (ECFL) from 2003-2013. 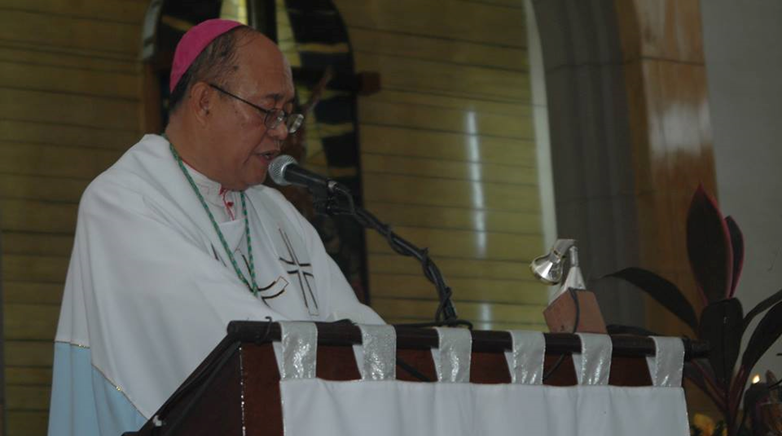 In 2011-2013, Pueblos became the Vice-Chairman of the CBCP Permanent Committee on Public Affairs (PCPA). He was also a member of the Committee for the Cultural Heritage in 2013-2015. He spent his elementary years in Loon Central Elementary School. After finishing his primary education, Pueblos studied in Sacred Heart Academy in high school (1947-1953). He then took up Philosophy at Immaculate Heart of Mary Seminary in Loon, Bohol (1953-1958). Pueblos pursued his Theology at San Carlos Major Seminary in Tagbilaran City (1958-1960). He also studied in Mabolo, Cebu City and spent his BSE studies (1960-1968), then took his MA at Divine Word College in Tagbilaran City from 1969-1971.